Beautiful beach front cottage situated on a private beach merely 50 yards away. Enjoy the scenery while sitting on the new wicker patio furniture. No need to waste valuable vacation time stuck in traffic crossing the bridge -- this location has it all. This charming cottage has 2 bedrooms and one bathroom and has been completely updated. Master bedroom has a queen bed, second bedroom has both a double and a twin bed, in addition the sofa has a double memory foam mattress. 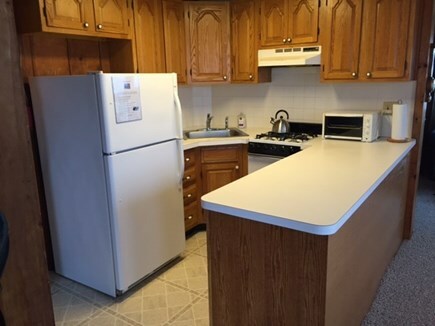 Full kitchen with everything you will need. Long-Term Rental (1 month or more): Available for a winter renter from September 9th to end of May. 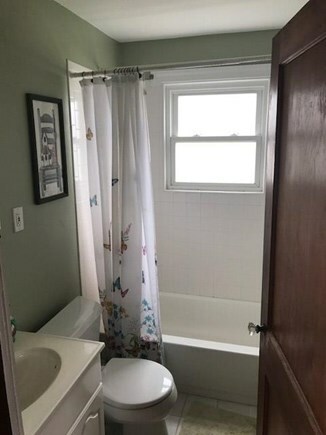 Price range from $1100 to $1400 a month, utilities not included. Our second time at this cottage, we had fun with friends who were staying at both ends of the beach. Weather was not the best, but we made the most of it. Just waking up to that view, nothing compared to that! Couldn't have been a better week! The house was absolutely wonderful and the weather was perfect. Incredible location - right on the beach. Just a few minutes to the bridge, so it's close to whatever you need, but I personally found no reason to leave the house or the beach. Watched the sunrise and the sunset from the porch every day. Beautiful! We loved it! Right on beach - just very peaceful and relaxing. Also, wind was blowing from the road which means water warm enough to swim in. We feel very blessed to be able to spend time at Sagamore Beach and at the Cape. Great location. Spent time in Plymouth and Chatham. We stayed at the cottage a little over a week and absolutely adored it! We have three small children and we all fit nicely, as well as having the ability to entertain the kids all day with the beach right out back! It's not far from the grocery store and some restaurants, or you can venture further out and find even more to do. It definitely offered a relaxing vacation. A perfect spot for a relaxing vacation. Since it's a private beach, there was no crowds. It felt like we had the entire beach to ourselves. 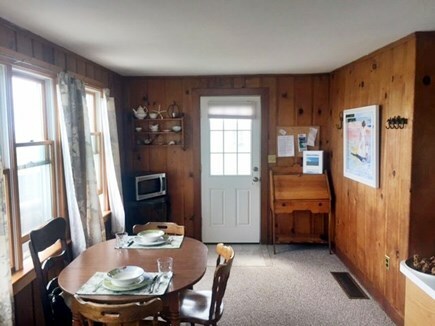 You can see the ocean from the kitchen table, enjoying your breakfast while looking out at the water. Wonderful beach walk to canal and back. The cottage itself was perfect for us. Very quaint, clean, and comfortable. We enjoyed the sunrises from our deck every morning.